Fellas, Housefull 4 is in the making already! 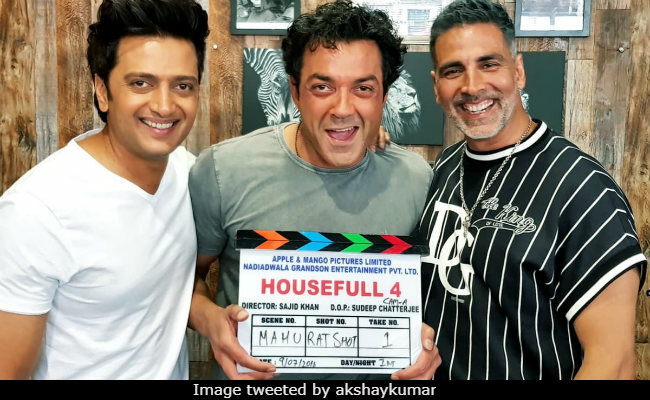 We recently got a glimpse of how much fun the film is going to look on screen after the Housefull boys - Akshay Kumar, Riteish Deshmukh and Bobby Deol (yup, he is one of the new entrants) - shared glimpses of the first day on sets. "It's time to be a Silver Fox, break Bobby Deol's funny bone and play every game under the sun with my buddy Riteish Deshmukh! Because the boyz are back with four times the fun," tweeted Akshay as he roped in Bobby and Riteish for a photo. With "four times the fun", Bobby tweeted out a warning of sorts for those looking forward to the film: "Do I foresee crazy times ahead? Yes!!! 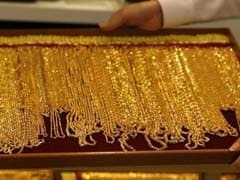 It's time for Housefull 4," he tweeted. Riteish totally seconded the thought and said: "Let's do this." Other than the trio, the ensemble cast of Housefull 4 also includes names like Pooja Hegde, Kriti Kharbanda and Kriti Sanon, who self admittedly just can't wait to start working with the Bollywood khiladi. "Being a part of Housefull is a privilege. Every time I have met Sajid, he tells me, 'Kriti, you are going to have a blast on the set.' I'm looking forward to working with Akshay sir," mid-day quoted her as saying recently. Sajid Khan confirmed that Housefull 4 is in the making in a Twitter conversation with Riteish Deshmukh last year, after which, they announced that the Housefull 4 gang is back! Sajid Khan returns to direct the fourth instalment in the Housefull series of films - he helmed the first two parts of the series while the reigns for the third one was taken over by director duo Sajid Samji and Farhad Samji. The Housefull 4 dhamaka is scheduled to happen in October, during Diwali.